We’re now officially a few days into the 2015 offseason, which means we’re also just a year or so away from knowing how badly everyone screwed it up. After all, that’s the way NHL offseasons usually go. There’s lots of excitement as the moves are being made, with plenty of blind optimism countered by an occasional unexplained sense of dread. And then, after enough time has passed, the benefit of hindsight kicks in and we realize that most of what happened was a mistake. Take last year. We saw a busy summer of trades, signings, re-signings, and others deals, and as with most years, the majority of the big moves didn’t work out. Some seemed fine at the time, but turned out to be busts. Some were widely panned by everyone from the beginning, and everyone turned out to be right. And some moves worked out reasonably well, but for various reasons didn’t quite provide the contender-making boost that teams were hoping for — we can file the acquisition of big names like Jason Spezza, Paul Stastny, Ryan Miller, and Jarome Iginla into that category. But there are always a few exceptions, and some of last year’s moves did work out — brilliantly in some cases. So today, let’s put on our 20/20 hindsight glasses and take a look at five of the best transactions of the 2014 offseason to see what we can learn from them heading into this summer. The move: OK, we’re cheating a bit here, since we’re actually looking at two moves, but they were similar enough in timing and intent that we’ll lump them together. Coming off a brutal 2013-14 season, the Islanders were reasonably well stocked with offensive talent, but needed big help in goal and on the blue line. They addressed the former by trading for the rights to Jaroslav Halak and then signing him before free agency, which is a move that we could also include on this list if you’re willing to count May as the offseason. 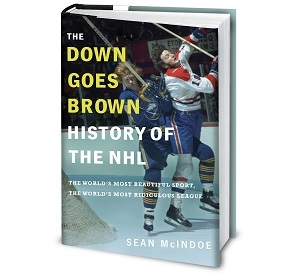 That still left the defense, and as the summer wore on it looked like GM Garth Snow had struck out. Then, less than a week before opening night, the rumor mill churned to life with reports that the Isles had acquired a defenseman. It was Boston’s Johnny Boychuk. No, wait, scratch that, it was Chicago’s Nick Leddy. Eventually, the source of the confusion became clear: The Islanders had actually landed both guys on the same day. The moves addressed a need, the price was reasonable, and the Isles went on to post their first 100-point season in more than 30 years. The lesson: In addition to the timing and the position, both trades had another factor in common: They involved teams that would have liked to have kept the players, but were forced to make tough choices because of looming salary-cap crunches. It’s not hard to see how that lesson could apply to this coming offseason, as several teams will once again be tight against a cap that could come in lower than projected. That includes both the Bruins and Blackhawks yet again, but they’re far from the only ones. With the cap not rising much this year, teams may be under more pressure than ever to cut contracts, and they probably won’t be able to wait until October to do it. As the Islanders showed, some available cap room, a few inexpensive assets to dangle, and a little bit of patience can add up to a nice little bargain or two.